Well, that was a night. Ronnie James is back in the hospital. After a few days of observing him, calling the hospital, making appointments and then canceling them as he’d seem not-fine one minute and then much better the next, not knowing what his new “normal” is supposed to look like after his surgery (like all cats, Ronnie James is incredibly skilled at hiding the extent of his discomfort), we knew last night that he needed to go to the E.R. A technician triaged Ronnie James the minute we got there, then immediately took him to the ICU and put him on oxygen. It was scary – scary enough for the doctor to come in and warn us that the Wrah-Wrah might not survive the thoracentesis that had to be done – but the little guy made it through. He was looking much better when we kissed him goodnight before coming home. He was alert and active in his oxygen chamber, being his usual flirty, affectionate self. He’s unbelievable! We were cautioned that he’s not “out of the woods” yet, but he’s looking just as spry as ever! We shouldn’t have been surprised by this development, as Dr. M. had clearly warned us that Ronnie James would likely require one or two more thoracentesis (chest tap/draining) procedures following his surgery. We were prepared for this likelihood. We just weren’t prepared for the situation to arise in such a dramatic and scary way. I mean, we truly almost lost him last night. The Wrah-Wrah is a miracle kitty, that’s how. His x-rays showed nothing but white. On a normal chest x-ray, dark areas of a healthy size and shape would be visible. Those would be the lungs with air in them. Thursday, 4/23/2015 – Wrah-Wrah’s chest cavity is completely filled with fluid. No lung is visible. And in this view, the side view, you can see a small, grayish area with rounded edges “just kind of floating there.” That’s the Wrah-Wrah’s lung. It was surrounded by so much fluid that it was barely functioning. It’s like a ghost lung. Thursday, 4/23/2015 – That faint, darker gray area in the center, just below his spine? That’s his lung. 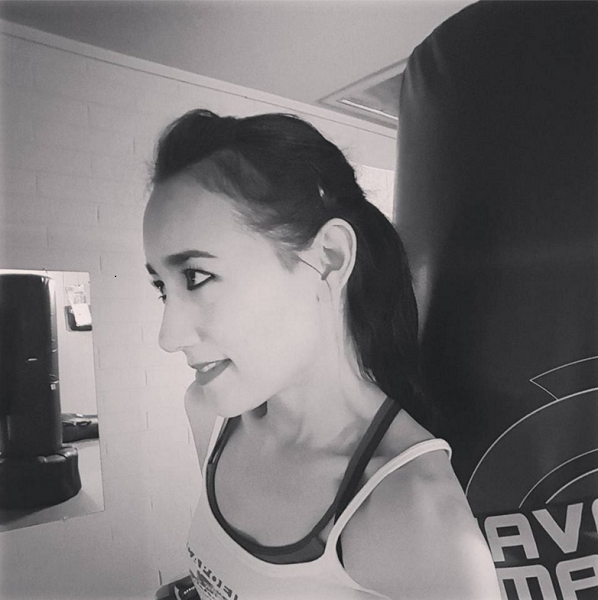 The doctor talked to us carefully and made sure that we understood the precariousness of the situation before he performed the thoracentesis. The procedure was extremely high-risk because Ronnie James’ condition was life-threatening. But everything went well. 300 ml of chyle was aspirated, and that wasn’t even all of it! 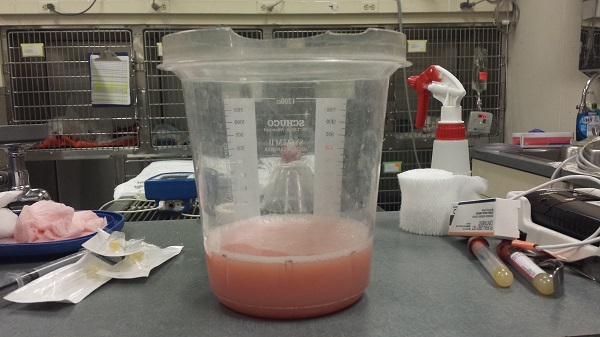 Thursday, 4/23/2015 – This is the fluid that was taken from Ronnie James’ chest cavity. It’s 300 ml (a cup and a quarter), and that was just some of it. The fluid is chyle (chyle can either be cloudy or pink). There’s still “quite a bit” of chyle left in the Wrah-Wrah’s pleural cavity. The doctor said that it was too dangerous to try to get it all, but enough was removed to allow for more normal breathing. They might try to remove a little more sometime this morning. Now, we wait to hear from Dr. M. when he comes in, examines Ronnie James, and reviews the whole situation. We don’t know what’s going to happen next. It’s at least comforting to know that what has happened so far had been anticipated… and the E.R. doctor said that he’s hopeful. Also, most importantly, the Wrah-Wrah isn’t suffering continuously. Thursday, 4/23/2015 – Ronnie James felt better after his thoracentesis. 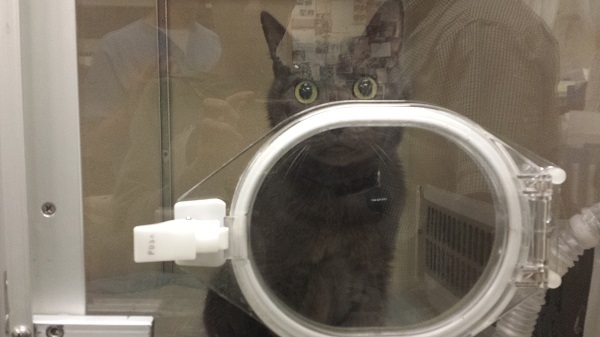 He was wide-eyed, active and heart-meltingly lovey when we went to visit him in his oxygen chamber before we left. Look at those wide, bright eyes! We’re keeping our thoughts positive. Animals, Cats, Family, Medical, Ronnie James and his battle with chylothorax, veterinary carecat coughing, cat health, cat respiratory failure, caterpillar poisoning, chenille processionnaire, chest x-rays, chronic infection, chyle, chylothorax, chylothorax in cats, Chylous Effusion, environmental hazards to outdoor cats, feline chest cavity, feline chest x-rays, feline collapsed lung, feline consolidated lung, feline health, feline pleural effusion, feline pulmonary health, feline surgery, fluid in chest cavity, hazards to mammals, le petit Wrah-Wrah, lung lobectomy, lung mass, lung mass in cats, lymphatic fluid, old infection in lung, Pine Processionary, Pine Processionary caterpillar, pleural disease, pulmonary mass, Ronnie James, The Wrah-Wrah, thoracentesis, thoracic, University Animal Hospital Tempe, urticating caterpillar hairs, VCA Specialty Animal Hospital, venomous caterpillar, venomous caterpillar in southern France, veterinary E.R. Thank you so much, Angie. You are lovely, and I can’t tell you how much I appreciate your good vibes! I know, right… it’s hard to tear my eyes away from that last picture! Hey can you give me an update on this? Also what symptoms did your cat have before you brought him in? My cat has been breathing weird for the past two days. 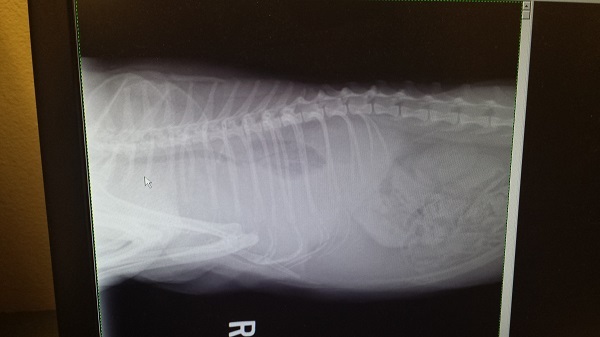 I brought him into the vet today and they said that he has fluid around his lungs. They don’t know why he is building fluid there and won’t be able to diagnose the underlying issue until they clear the fluid. They did a lung tap and the fluid that came out looked EXACTLY like in your picture. Apparently, there are many ways in which a cat can build up fluid around their lungs in which the worst is probably cancer or heart failure. I’m worried sick right now as he is staying overnight at the vet. Did you ever find out why your cat had this condition? Was it cleared up? What did they do? Thank you for reading this far! Hi Andon, I’m so sorry to hear about your cat. I know how scary and sad this is for you. Our Ronnie James passed away a year ago on May 14. We did everything we could to save him, but it just wasn’t enough. His symptoms began with that cough. He was initially dx’d with asthma, but when the cough got worse after six months of asthma management, we took him back for further testing. 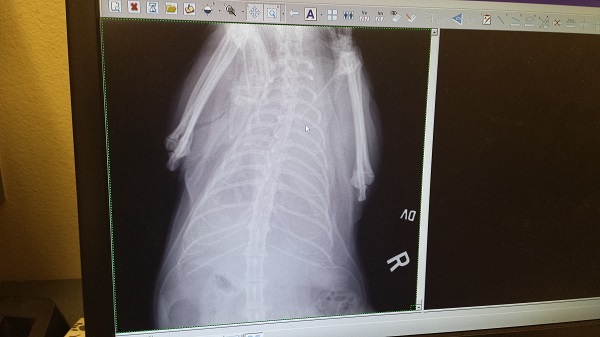 After more x-rays and analysis by our vet, another vet, and the x-ray analyst, we were referred to a specialty hospital for animals. Ronnie James was dx’d with chylothorax. As you said, there are several underlying conditions that could cause this disease. In Ronnie James’ case, it was a very unusual one: In France, where we got him, he’d had an encounter with a toxic caterpillar. The caterpillar (pine processionaire) doesn’t exist in the States, so none of our vets had any reason to suspect it. Ronnie James probably licked the caterpillar (the tip of his tongue had been burned off – we noticed that when we adopted him), and one of the tiny, fine caterpillar hairs got lodged down in his lung, where it wreaked havoc. Ronnie James had two complicated surgeries, and at one point it seemed like he was going to make it, but then he took a turn for the worse. We finally had to put him down. My advice to you (not that you asked) is to take your cat to a specialist right away. We feel that maybe we could have saved our Wrah-Wrah had we done that sooner. Anson. Apologies for the typo in your name!